Did the program deliver what it promised? “Speak for Yourself” is the third work by the León / Lightfoot duo entering the Zurich company’s repertoire. The piece premiered in 1999 with Nederlands Dans Theater and is dedicated to León and Lightfoot’s daughter, who was born shortly before. As both choreographers reveal in an interview printed in the program booklet, the title has different meanings. For one, each of the two needed to free from their mutual symbiosis to find an own choreographic voice. 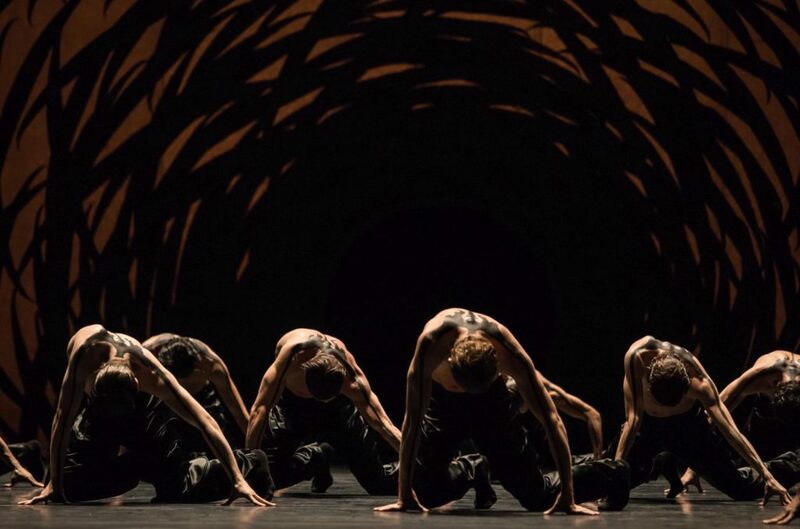 Another thing both strove for was to emancipate themselves from the influences of the choreographers they had worked with – Jiří Kylián, Hans van Manen, William Forsythe, and Mats Ek. What’s more, they wanted the dancers to speak for themselves rather than to copy preexisting choreography. At the time of creation, their relationship was smoldering, said León. 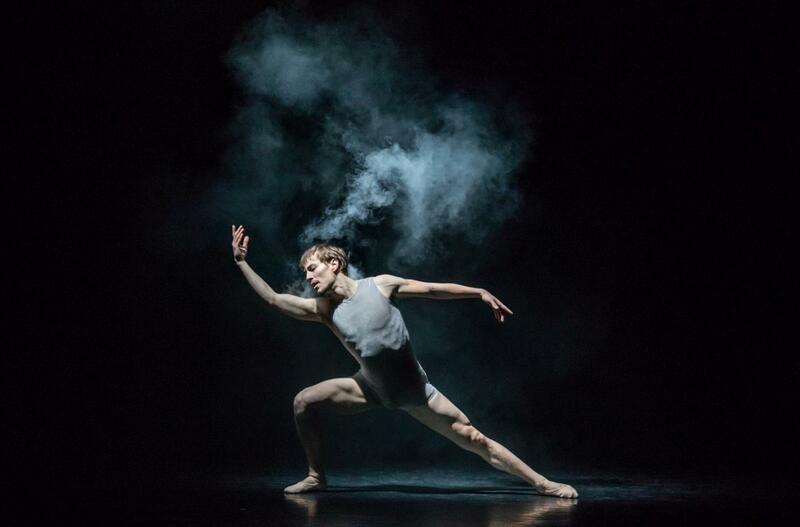 Maybe that’s why one dancer (Daniel Mulligan) wore a little container on his back from which wads of smoke spread with each of his movement as if he was fuming with rage. Every brusque shake of his head, every wave undulating through his torso, intensified the gray clouds of smoke that gradually diffused through the stage area. Mulligan’s movements became more and more weird, eccentric, and jerky, as if he was an automatic doll whose mechanism had went off course. The other dancers – five men and three women, and like Mulligan wearing simple gray tricots (designed by León and Lightfoot) – seemed unrelated to him. Solos alternated with dances of small groups, sometimes motionlessly framed by others. But except from three pas de deux, the dancers seemed mostly unconnected with each other. The choreography was a string of mini sequences, each triggered by another, often contrary impetus. A flowing jump ended, for example, in an abrupt halt which was followed by an awkward contortion; generous, space-consuming arm moves suddenly replaced hectic fidgeting; an elegant line was broken by a bottom sticking out. The switches seemed random and arbitrary. 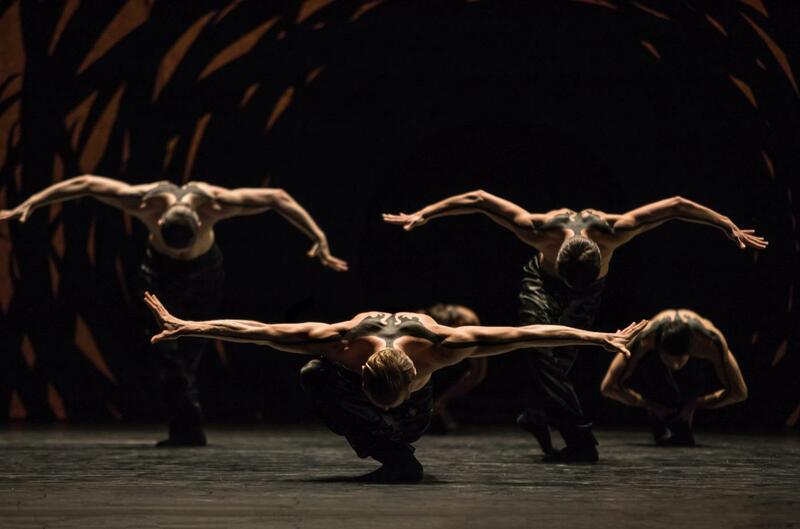 Some elements – lifts, jumps, leg splits – were familiar from other pieces by León and Lightfoot, and some faintly resembled what Marco Goecke and Edward Clug were to choreograph in subsequent years. But the language of “Speak for Yourself” didn’t distinguish itself from the mainstream of contemporary choreography. If the dance wasn’t special, the patterns of the billowing smoke in front of the black backdrop certainly were. They vanished the moment four valves high above in the ceiling opened, and columns of water drizzled down. Soon, water covered the floor and drenched the dancers. Steps were taken more cautiously, but they were effect-seeking splashy. On this slippery ground three couples danced pas de deux: Anna Khamzina / Jan Casier; Elena Vostrotina / William Moore, and Yen Han / Matthew Knight. The way tall Vostrotina unfolded her long legs brought a tinge of balletic lightness to the physicality of the performance. In the last scene brawny Knight bent protectively over petite Han. While she walked offstage, the drizzle stopped, the columns of water sank, and Knight stood motionless, stretching his arms sideways like a bird with a crippled wing. The music for “Speak for Yourself” layered excerpts from Johann Sebastian Bach’s “The Art of Fugue” (the preluding Contrapunctus I and the final unfinished Fugue) with “Come Out” by Steven Reich, and the endless loop of the sentence fragment “Come out to show them” slowly degenerating into rhythm interfered with Bach’s lucid clarity. The cast’s dancing was highly committed. Some scenes were striking, but neither magical nor alchemical. 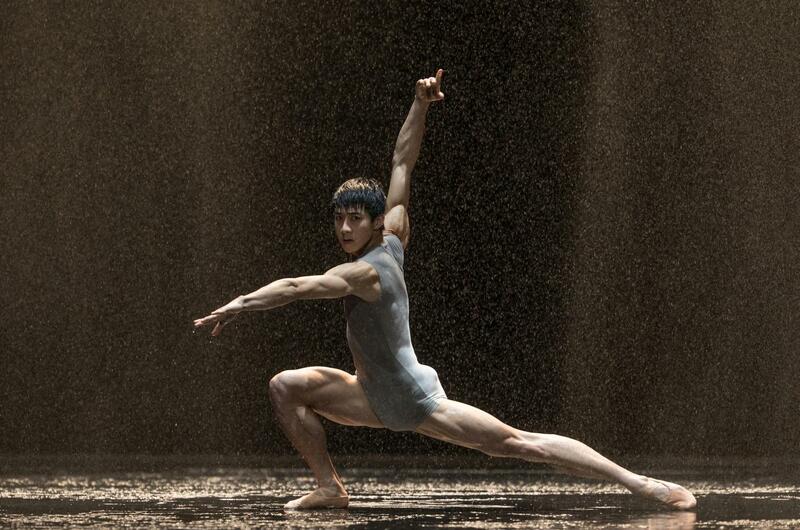 Whether dancing in the rain is a metaphysical experience is up to discussion. 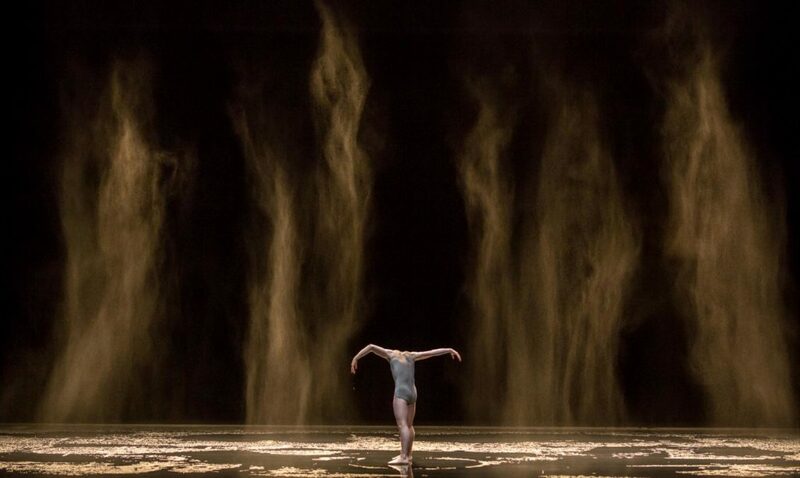 “Emergence”, choreography for the National Ballet of Canada, dates from 2009. For the Zurich company it was the first encounter with Pite. When the curtain rose, it revealed the black silhouettes of amplified blades of grass in the twilight. A number of men lay on the floor facing downward. Some of them stuck their arms out in right angles like grasshoppers about to get up. Were we watching the microcosm of insects through a magnifier? 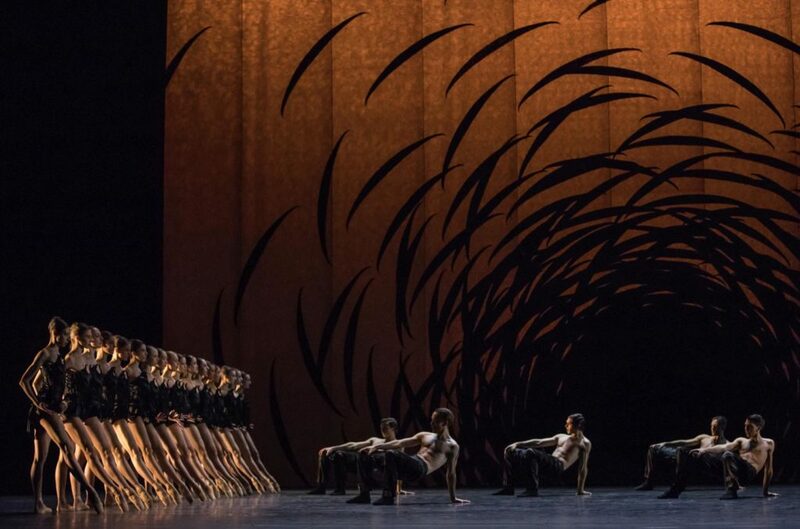 Pite’s springboard for “Emergence” was the question if there is a parallel between the inner mechanics of a ballet company and animals living in social communities. How does order establish itself in large groups? 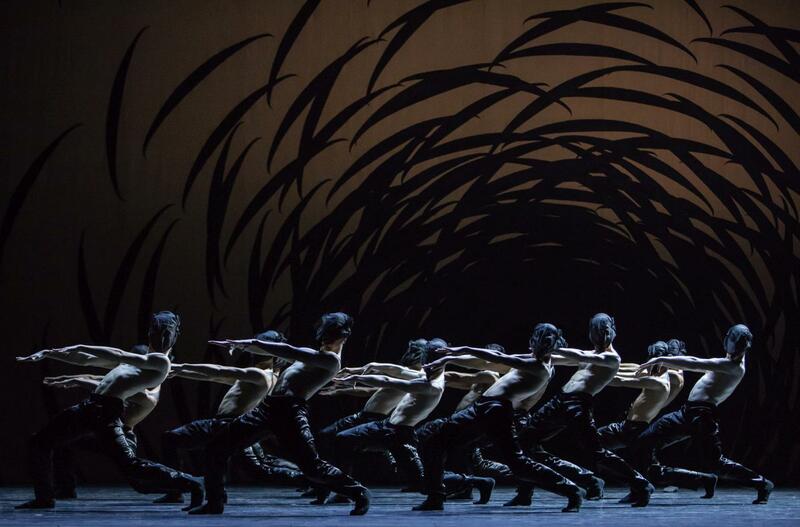 How can a ballet create itself? Pite decided to compare the dance company with a bee colony, but admitted that the limited time for creation in the studio hampered the proper execution of the experiment. The evolution of order takes time. Those who expected dancers in the guise of brown-yellow honeybees performing a tail wagging dance were disappointed. Linda Chow’s costumes were black. The men wore shiny black pants and had black ornaments painted on their bare shoulders, arms, and backs. The jagged décolettés of the women’s short black corsage dresses were reminiscent of mandibles. Sometimes, groups of dancers put on narrow black masks in the form of insect heads. Owen Belton combined a multitude of sounds in his composition for “Emergence”, and one couldn’t classify each one. There was clack and clatter, sounds of bells, deep hums, rhythmic tick, and pushing bangs. Water seemed to stream through a nozzle, crickets chirped, sometimes the female dancers counted the numbers of their steps highlighting its sharp rhythm, and the final scene was accompanied by the dancers’ heavy panting. No summery bee buzzing filled the air. Instead, a sense of rigor and inevitability reigned. Groups of male and female dancers interwove swiftly, each performing another snappy, clear-cut routine before suddenly uniting and slicing the air with synchronous arm moves as if mustering forces. At times, movements of individuals were gradually adopted by others; a group dynamic established itself and then ebbed away. 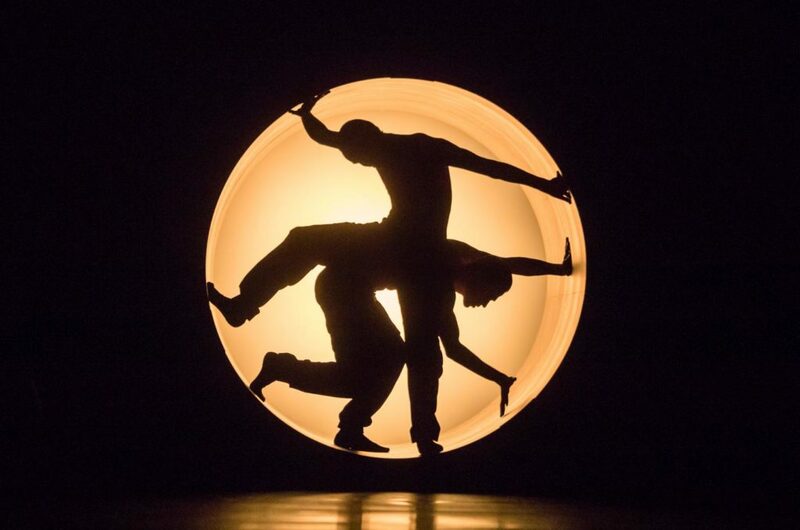 In one duet, the female dancer, helped by a man, seemed to hatch from her pupa. Did he force structural order on her or did he care for her? One wasn’t sure. Later, three men partnered one woman, lifting her high in the air, but never loosening their grip on her as if she were the coveted match for reproduction. Power was in the hands of the women. The moment they tiptoed onstage, the men fled. But even if formidable, females were desired objects. Again and again, the men approached them until one of them finally found himself encircled by women. He ran around, insecure which position to take. Was he their prey or their chosen lover? Or – given that drones are left to starvation after the nuptial flight – both? The real secret, though, was the blindingly lit tube that opened in the backdrop a few times. Dancers posed in it like praying mantis against the light of the sunset or disappeared in its depth. Did it lead into the bee hive? If so, what was going on there?